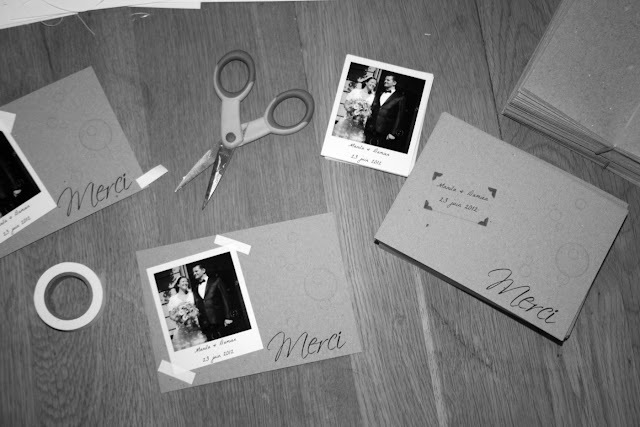 Nothing beats a beautiful black and white picture of a happy couple to inspire you and create a lovely thank you card for the newlyweds. 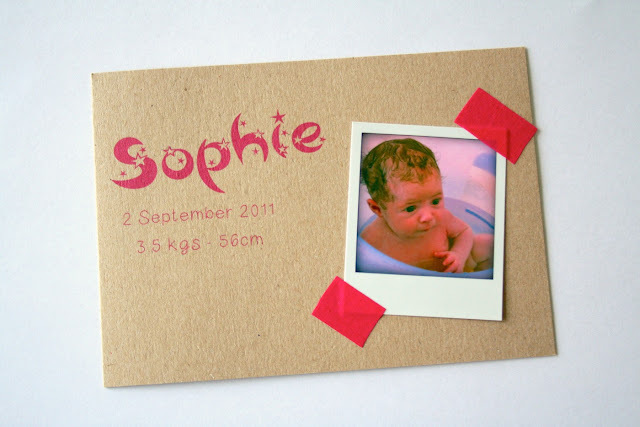 The bride had contacted me about making a grown-up version of my birth cards with a polaroid effect. I was more than happy to oblige as I love those cards and thought it would be a great idea. So, in the middle of one of my most busy week ever, I set out to make these for them. 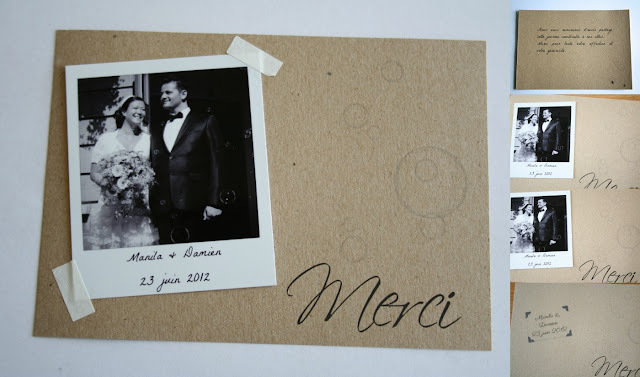 We ended up with a lovely notecard with some subtle bubbles on the side above the thank you as they had bubbles at their wedding. The photo was simply attached with decorative washi tape. Thus allowing recipients to remove the photo and pin it elsewhere leaving behind the couple's name and wedding date. 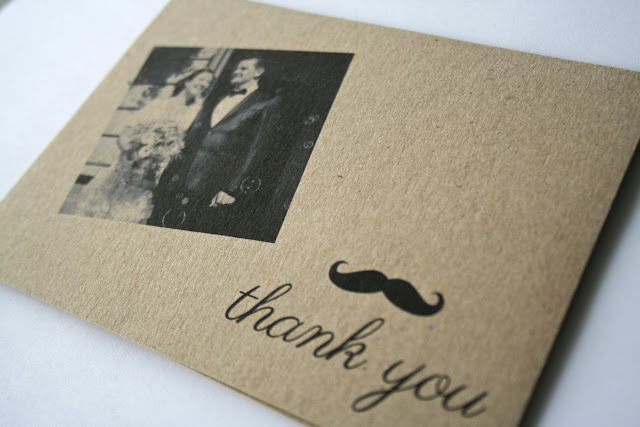 Their photo later inspired me to list these lovely vintage-style thank you cards.